A successful bathroom transformation is all about design! Good design is the foundation of any bathroom project, capturing the client’s vision and specific requirements ensure the finished environment not only looks incredible, but works on a practical level for many years to come. Capturing your design brief is one of the most important aspects of the process. The first step is the initial free design consultation in our showroom when we will work with you to fully understand your requirements, your likes and dislikes, your ideas and vision for your space. 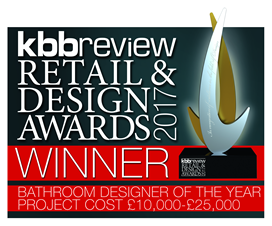 We will then for a fee of £250 for a standard bathroom start the design process by visiting your home and survey your existing bathroom, take photos, measurements and discuss your thinking in detail. Interpreting your vision is what this process is all about. This will guide the creative design phase to develop our visualisation of your perfect bathroom, wetroom, spa or steam room within your practical budget. At InStil Design we use CAD software, where you will be able to view all aspects of your new bathroom in 3D, allowing you to visualise the design and how the space would work for you. Design has to be a joint process, and we are committed to refining our proposals until you are completely satisfied with your final design, timetable and budget. Once your bathroom design is complete and you have placed the order we offer a comprehensive Installation Pack – Guidelines for your chosen installer. This including floor plan, elevations, CAD images and scope of work. To find out more about our design service please contact us on 01865 368810.